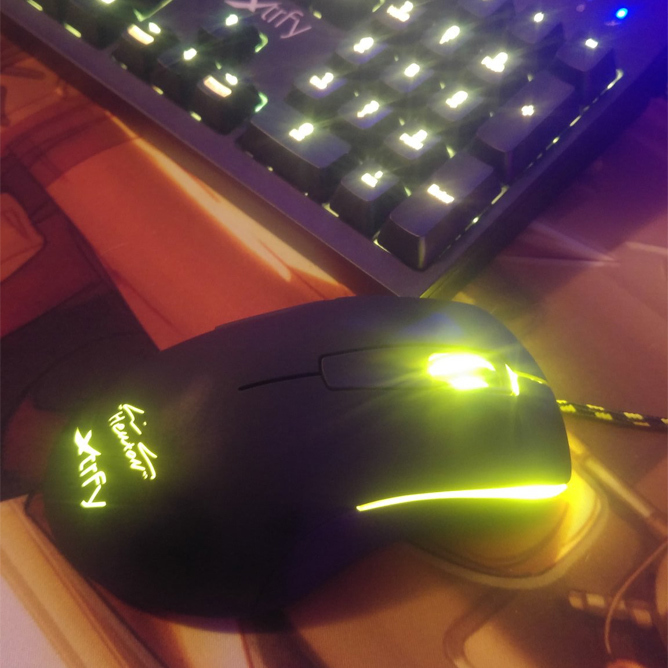 OPTICAL GAMING MOUSE. DESIGNED BY HEATON. 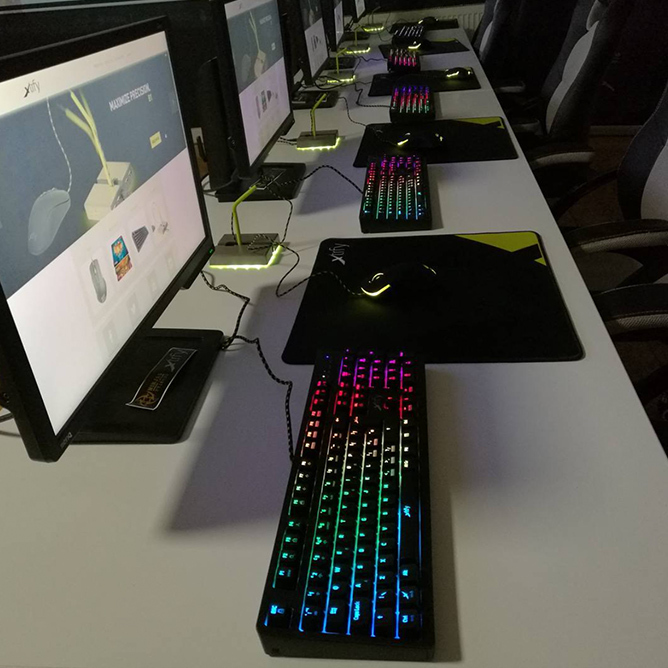 Formed by 15 years of practice, 8 world champion titles and an endless passion for gaming. 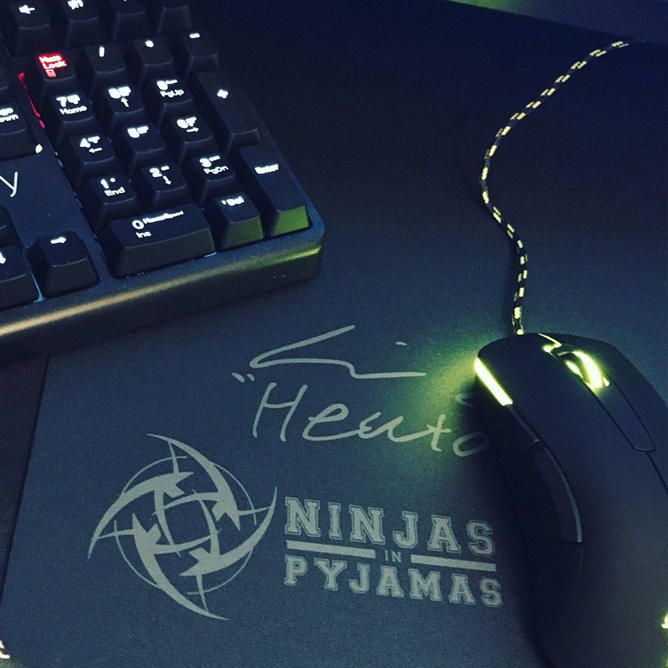 Developed by Emil "HeatoN" Christensen. Pinpoint aim is no coincidence. 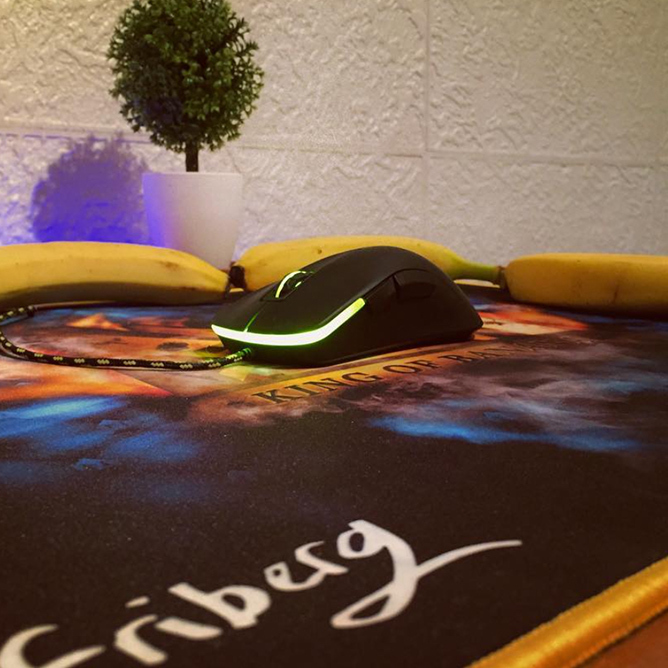 The M3 has a unique ergonomic shape, designed to fit your hand naturally and give you that extra control in fast-paced gaming situations. It suits all grip styles and features a rubberized surface for better grip, and low-friction teflon feet for smoother movements. With the M3 at hand, you have every chance to improve your play. 5 buttons + quick adjustments. 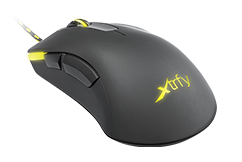 For efficient mouse handling, the two regular buttons and scroll wheel are complemented by two side buttons, a polling rate switch and a CPI-button for adjusting mouse sensitivity on the fly. No software, no hassle. Built to perform, perform and perform. The M3 is built with top-grade components to ensure consistent, high-level performance. From high quality Omron switches for better click control, to the optical Pixart sensor. 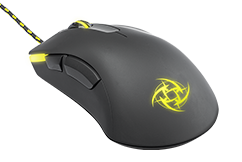 In the heat of the game, this is a mouse to count on. 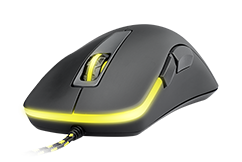 To top off the black, sleek design, the M3 is provided with an Xtrfy yellow three zone LED lighting. In addition to the customary illuminated logo and scroll wheel, it features a new, impactful lighting under the main clickers and an illuminated HeatoN signature. "... najlepsze przełączniki, jakie do tej pory testowałem i ogólnie wykonana jest po prostu rewelacyjnie." 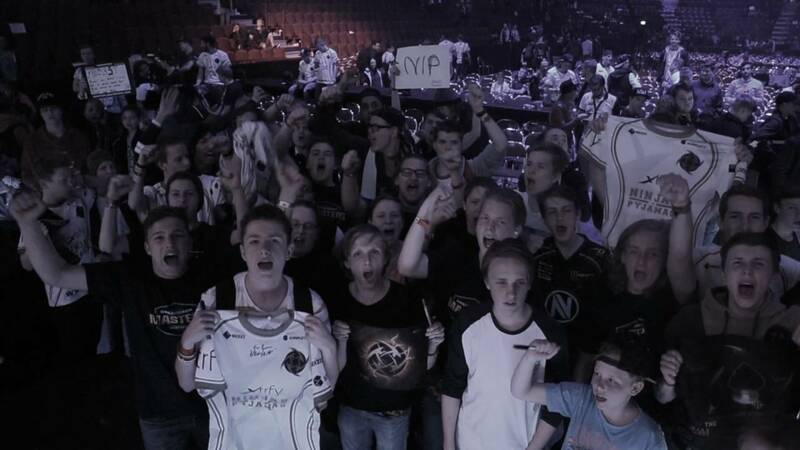 "... lever op til alle standarder for en professionel spiller af fx CS:GO og PUBG." 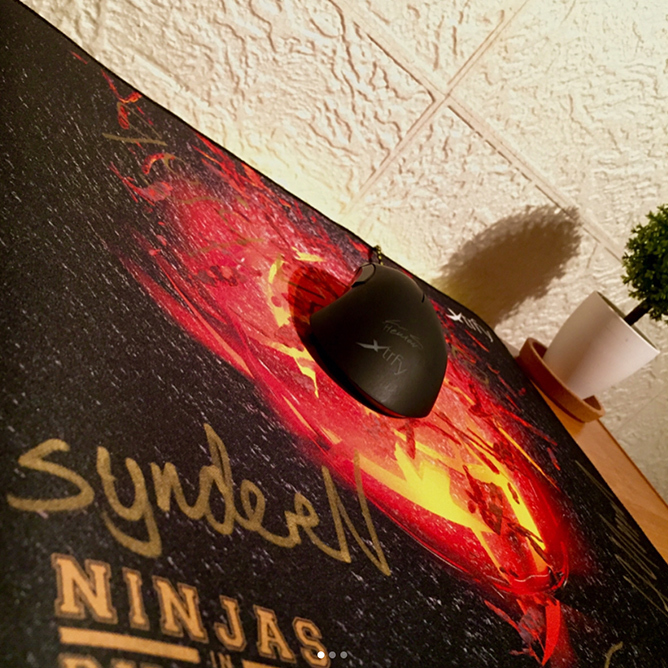 "It's hands down the best performing gaming mouse I’ve ever used..."
"Xtrfy M3 este un mouse excelent..."
"... både præcis og responsiv." 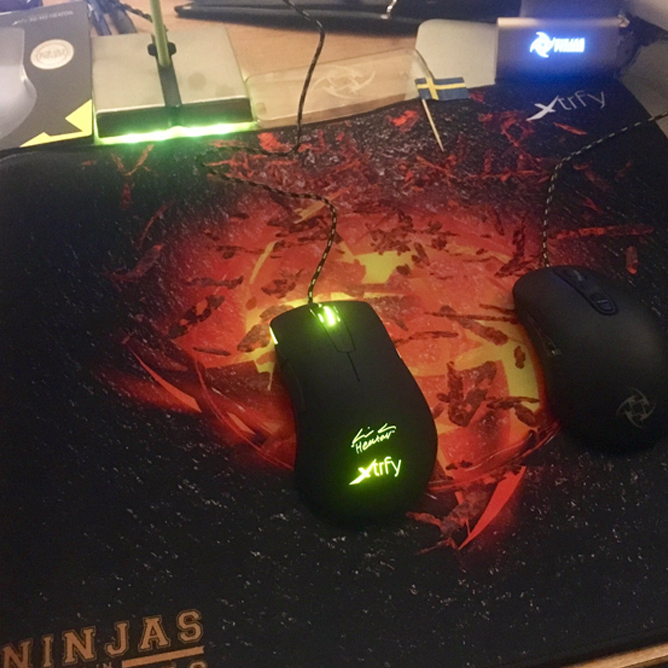 "The M3 mouse was on point in all my games I played." 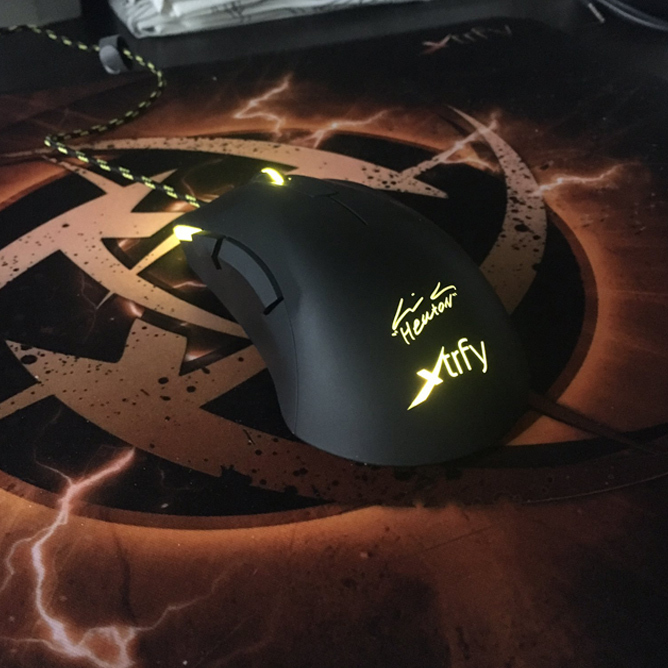 "Xtrfy set out to make a competitive gaming mouse, and they certainly delivered." 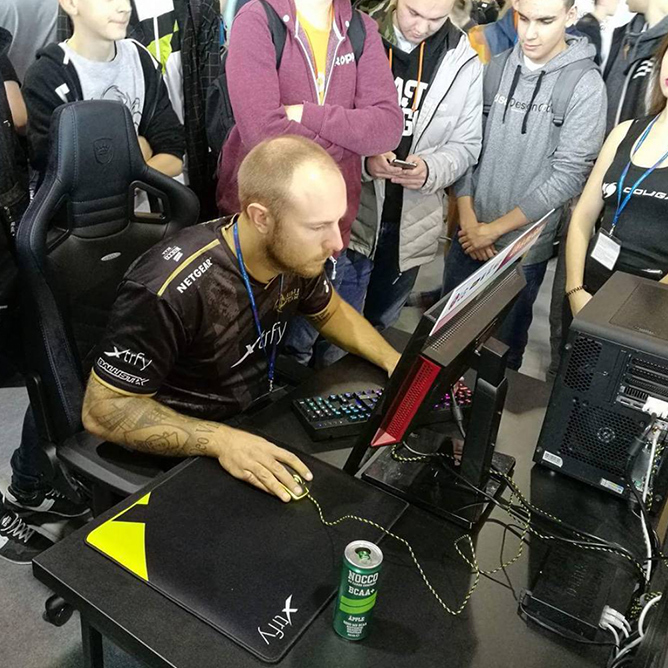 "Xtrfy M3 HeatoN gör det den ska, och den gör det på ett både bra och pålitligt sätt. " "If you are in the market for a mouse and you hate software, then this mouse is for you." Youtube review of the M3 by Rocket Jump Ninja. 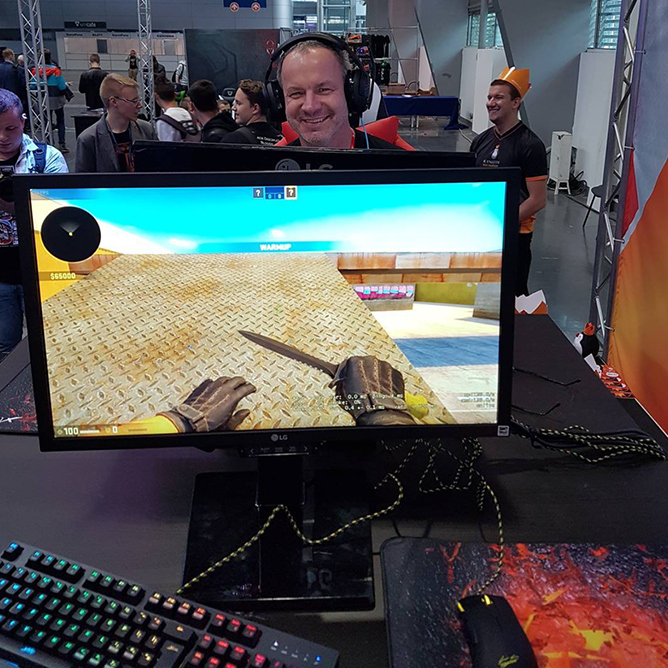 "Christoph meint: Spitzen Gaming-Nager ohne viel Schnick-Schnack!" 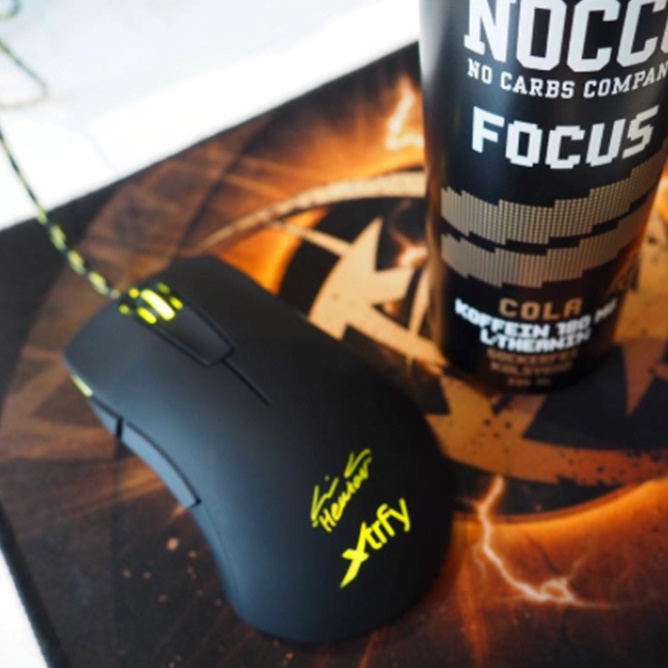 "Auch unter der Haube kann sich die Xtrfy XG-M3 Heaton sehen lassen." Optical Pixart PMW 3360. Before 20171010: 3310. 400 / 800 / 1600 / 3200 / 4000 / 6000 / 8000 / 12000. 400 / 800 / 1600 / 3200 / 4000. 3360 sensor: 50 G. 3310: 30 G.